Detective Jake Harrison in Person Of Interest "Last Call"
Jason Dietz in Major Crimes "All In"
Billy in American Horror Story: Coven "The Dead"
Alex is a young idealistic CIA analyst specializing in Russian affairs. Unbeknownst to him, both of his parents and his sister are part of a dormant Russian sleeper cell that has just been reactivated. Person of Interest is an American crime drama television series broadcasting on CBS. It is based on a screenplay developed by Jonathan Nolan. The series revolves around a former CIA officer (Jim Caviezel) recruited by a mysterious billionaire (Michael Emerson) to prevent violent crimes in New York City. Major Crimes is an American television police procedural series starring Academy Award and Emmy nominee Mary McDonnell as Captain Sharon Raydor. It is a spin-off of The Closer and premiered on TNT. The Emmy and Golden Globe winning show American Horror Story is a horror television series created and produced by Ryan Murphy and Brad Falchuk. Described as ananthology series, each season is conceived as a self-contained miniseries, following a disparate set of characters and settings, and a storyline with its own "beginning, middle, and end". 90-minute thriller about five airplane passengers unable to land after a gigantic disaster happened on the ground. The movie is currently in postproduction. 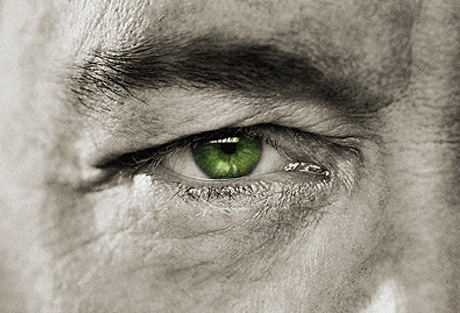 The final season of The Bridge Project starring Kevin Spacey in the title role of Richard III and directed by Sam Mendes, previews at The Old Vic from 18 June 2011. The company will then embark on an international tour including the Athens & Epidaurus Festival, Spain’s Centro Niemeyer, Hong Kong Arts Festival and Singapore Repertory Theatre, arriving at BAM’s Harvey Theater in New York in January 2012. A pair of indie musicians, Tim (Sam Palladio) and Nick (Gavin) are dumped by their girlfriends and decide their best chance to get them back would be to win a 'battle of the bands' at the local community centre, with an unexpectedly epic outcome. As energetic young host, Nat, Gavin makes friends with the Iconicles: a troupe of quirky animated animals at home in their very special worlds and also joins in the fun when they pop through Nat's amazing interactive screen to play in ours. The screen becomes a two-way portal and the Iconicles characters seamlessly transform from 2D into 3D. Based loosely on the 16th century historical document entitled ‘The Malay Annals’, 'The Malay Chronicles' is an action-packed epic feature film, with mythical characters, magical moments and dazzling visual-effects sequences. Gavin plays MARCUS, a Roman prince sent to Southeast Asia to wed a beautiful Chinese princess from the Han Dynasty and unite the two great empires. Akinabalu is a Malaysian 'Band Of Brothers' style epic about a group of British soldiers in Sandakan - the now infamous East Malasyian prisoner of war camp - and the struggle of the local supporters ready to give their lives to help those imprisoned. Gavin plays Edward Keene, a British engineer living in the Jungle of East Malaysia during World War II. Growing increasingly accustomed to the local way of life he falls in love with a local village chief's daughter, Berida (Dira Abu Zahar). As the invasion progresses Edward struggles to balance the high stakes of protecting his anonymity from the Japanese forces - keeping all he holds dear safe, with being the only man able to organise the aid being smuggled into Sandakan for the detained Allied forces. The spot was aired to announce presenter Alexa Chung taking over MTV GONZO show from Zane Lowe in 2010. Three stories dealing with impossible situations of the heart. Gavin plays David, a young English man engaged to a wealthy Malaysian girl. Once he flies over to meet her family, he's immersed in her and her families traditional lifestyle. Can't Smile Without You was a No.1 Musical tour from Bill Kenwright LTD, starring Chesney Hawkes and Siobhan Dillon. Gavin played the role of FLYNN, a featured lead who was also the bass guitar player for the entire show under the musical direction of John Maher. Sofia's Diary started off as an internet drama series by Sony for the social networking site Bebo. It was among the first of it's kind pioneering the way, becoming the first series to be bought by a TV channel (Channel 5). Gavin played one of the original 3 leads for the the first series, SEAN WALKER. Damn Boots was a commercial from Nexus Productions for Nomis Sportswear. It was originally released in Australia, but was quickly picked up for entry to many advertising festivals. It was the winner of 2 Gold Lions at the Cannes Gold Lion International Advertising Festival in 2008, fighting off competition from Nike and Adidas. Malachi was a short film produced for SKY TV. A poignant story of a separated young couple discovering that their child has Sickle Cell Anaemia and how they deal with this. Their child (MALACHI) however, has a passion for filming on his mini DV camera and decides to film a documentary to try to bring his parents together again but unwittingly records what he thinks to be the face of God. Gavin played the part of JONATHAN, the young father. Whatever It Takes was the brainchild of Dan Tonkin, an up and coming film maker who graduated from the London Metropolitan Film School. The short film tells the story of soul mates (CHRIS and SARAH) torn apart by one moving to New Zealand. Gavin plays best friend JON trying his hardest to bring the lost friends together for one day when the opportunity arises. John, Jess and Chris find themselves in a twisted love triangle at a wild student party. As John develops photographs the next day he reconstructs lost memories from the night before. Did he go too far to stay close to Jess? Hospital Resurrection is a 2nd year Student short in which two teenagers, SCOTT and SOPHIE break into an abandoned hospital. Unbeknownst to them, their little adventure is about to come to an abrupt end. 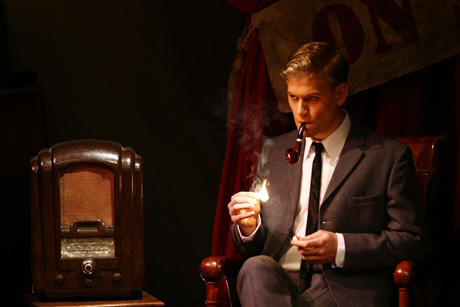 The Real Inspector Hound is one of Tom Stoppard's earlier plays and is a parody of the stereotypical parlour mysteries in particular Agatha Christie's 'The Mousetrap'. Gavin played the role of SIMON GASCOYNE in a comical love triangle between the two lead female roles, CYNTHIA and FELICITY. New to the neighbourhood, he instantly begins acting suspiciously. SIMON later becomes the role of a critic watching the play when the story takes a bizarre turn. 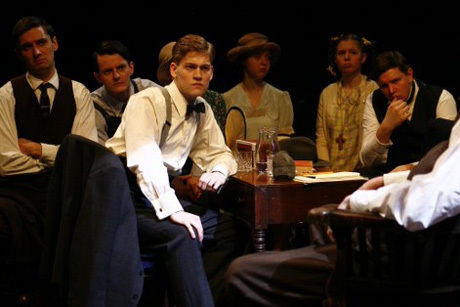 Inherit The Wind is a play based on the true accounts of the John Scopes "Monkey Trial" of 1925. 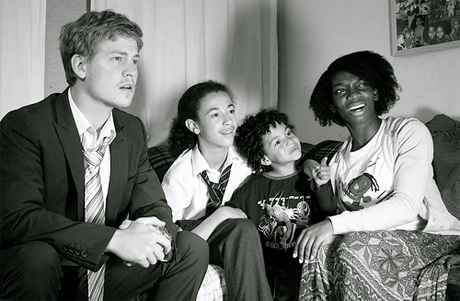 Gavin played the 'Scopes' character BERTRAM CATES, a young and enthusiastic teacher who is arrested and stands trial for teaching Evolution in his class. 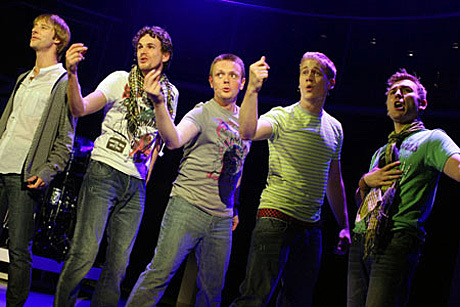 In a co-production with the RSC, Guildhall was among 4 other Drama Schools invited to perform a selection of Shakespeare plays at The Swan Theatre in 2006. 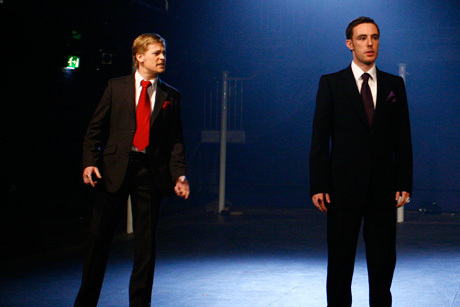 Gavin played the part of SEBASTIAN in 'The Tempest', whilst having a key role in composing and supervising the music to the show. 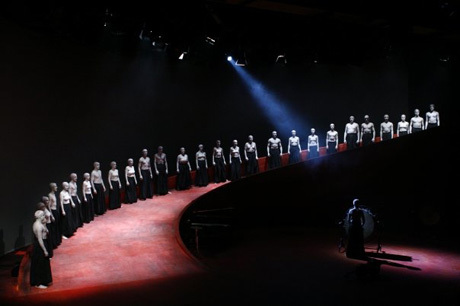 Using his own percussive instruments (Didjeredoos, Djembe, Zither and others), he and the cast created an ambiance that heightened the theatricality of the show. A ground breaking production from Guildhall, 'Tales From Ovid' was an epic and physical piece adapted from Ted Hughes collection, comprised of various short stories from The Metamorphoses that heavily explored the concept of 'The Group'. With an impressive set, the actors dressed in Japanese Hakama pants and body painted white portrayed strong physical images to compliment the dark and often gory short stories. Gavin played HERMAPHRODITUS, a young and innocent boy lusted after by the water nymph SALMACIS and they eventually merge into one being, portrayed through an intense, beautiful and acrobatic dance sequence. Headshot by AM London ©2019.